Put your radio station in the pockets of millions of listeners. Your app is now compatible with and optimized for iPhone and Android! To save you from long and tedious fiddling around, we look after the publishing on the AppStore and Google Play for you. Edit easily online and changes appear instantly on all your applications. No need to republish. 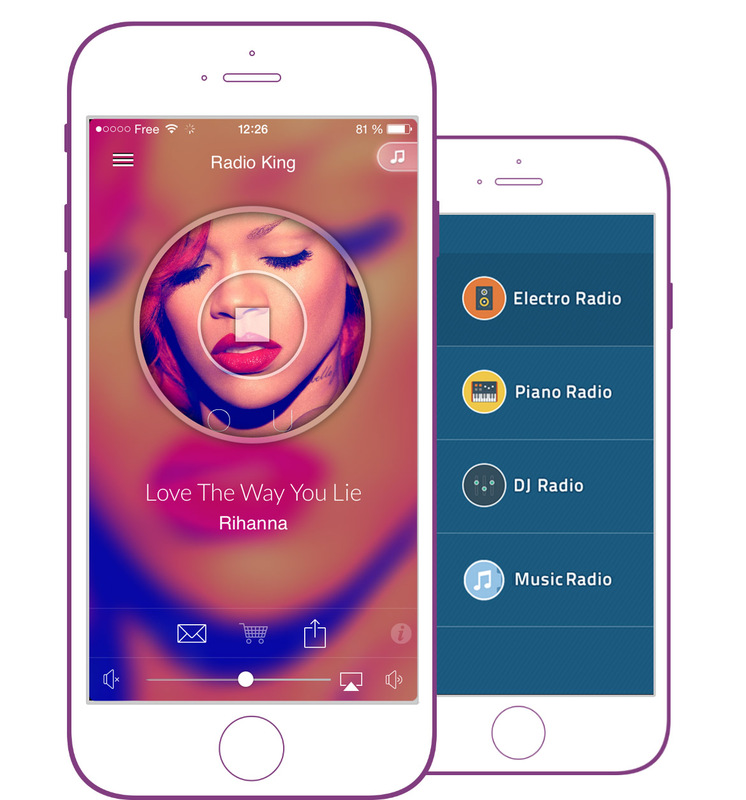 The RadioKing mobile app was designed specifically and exclusively for FM radio and web radio stations. Communicate in real time with your audience thanks to Push Notifications. Would you like to send a notification to your audience in a specific city or country? Pick which geographic zones will receive your notifications. No time to send your notifications? The Mobile Manager will help you plan ahead to send them meaning you’ll never miss an opportunity to communicate with your audience! 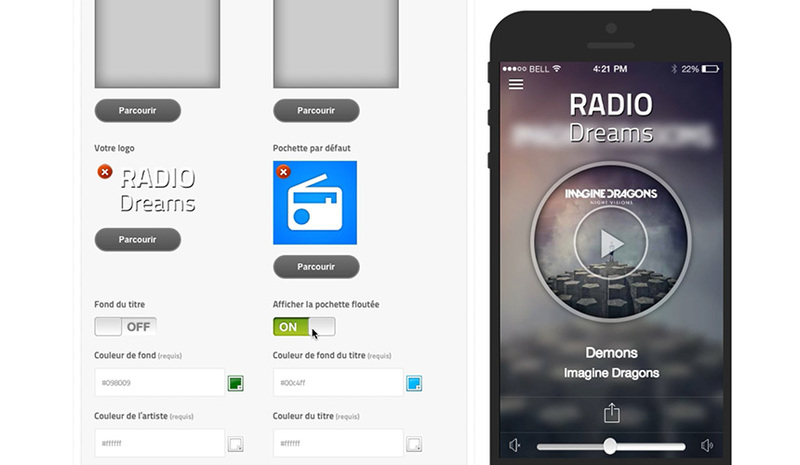 Look to our many themes for inspiration and create a fantastic radio application. 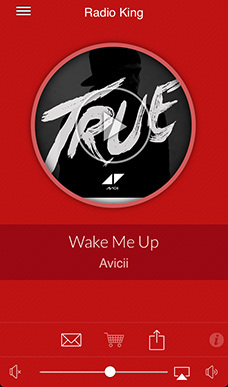 Your radio station is now available in the car of your listeners with Android Auto. The best way to build your audience's mobile app loyalty is to offer them something to check on a regular basis. Thanks to metadata integration, sharing your RSS (podcasts, videos or news) feed address is all you need to do to integrate content relevant to your website. 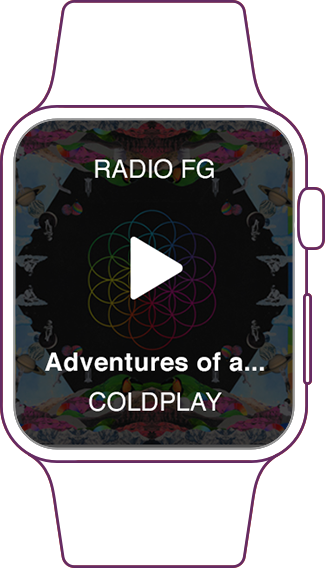 Your app is both iPhone and Apple Watch compatible! 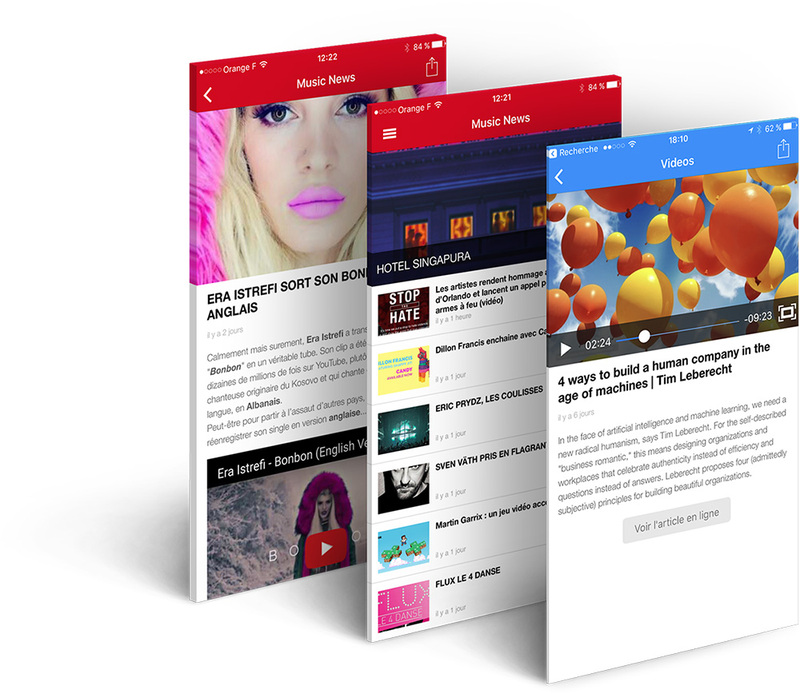 Your audience can control the app from their wrists and change stream easily. 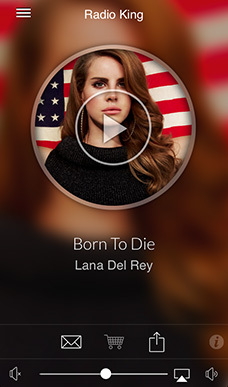 Your mobile app needs to be complete to appeal to your listeners. The LiveFeed is an innovative tool that offers your audience more live info: Tweets, Facebook posts, polls, photos, videos and much more. 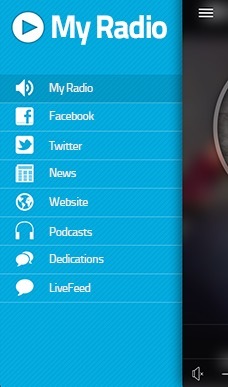 You can add many web pages to your app, like your radio's Facebook or Twitter pages, your website, etc. The app allows for an easy integration of HTML content (ideal for things like legal notices or important information). Make the morning move. Thanks to your mobile app, they can wake up to the sounds of your station and listen to you throughout the day! You can even schedule multiple alarms at once, which means users can set a different wake-up time for each day of the week. 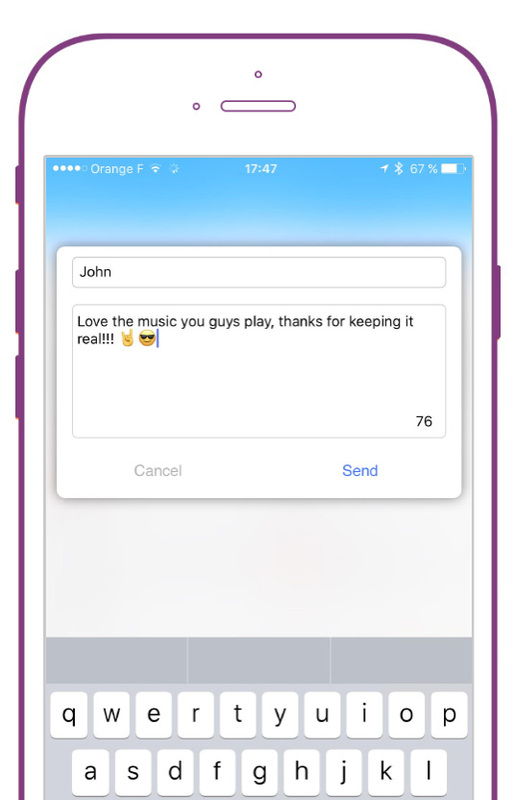 Listeners love reacting in real time and seeing their messages published! 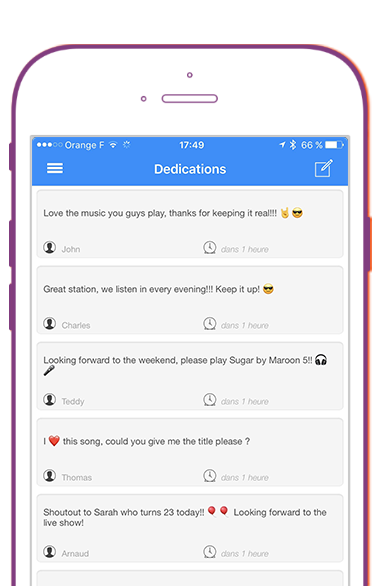 They can use the radio app to easily send dedications as well as read messages from other listeners. 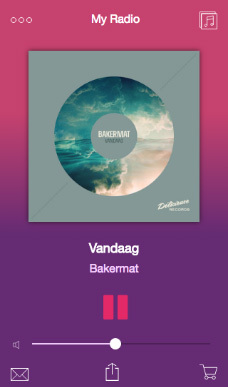 The app works in parallel with Radio Site, giving you a central place to manage messages from your listeners. Because Google's AdMob ad platform is integrated, monetizing your app by adding advertising is simple. Ads display when the app opens to avoid interfering with the user experience. 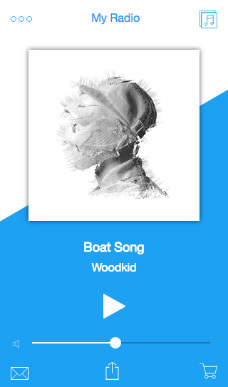 Free integration with the Flurry platform means you can get detailed information about downloads and use of your radio app. 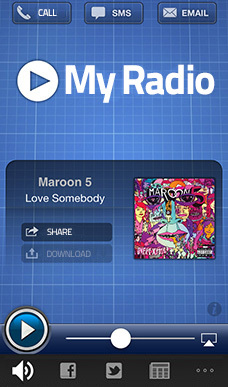 Creating a mobile app for your radio station has never been so simple thanks to the online simulator. As of now, start creating your own mobile app - it’s quick and easy!